The representation of Lourdes is like none other! The C 1850-60 carving has a brass frame. The stone material is Meerschaum and the piece is hand carved by French nuns. The presentation features the Virgin Mary in the grotto at Lourdes with Saint Bernadette. I mounted the piece on Filigree Bead Capped Red Rosary beads, also from France, with a link chain. 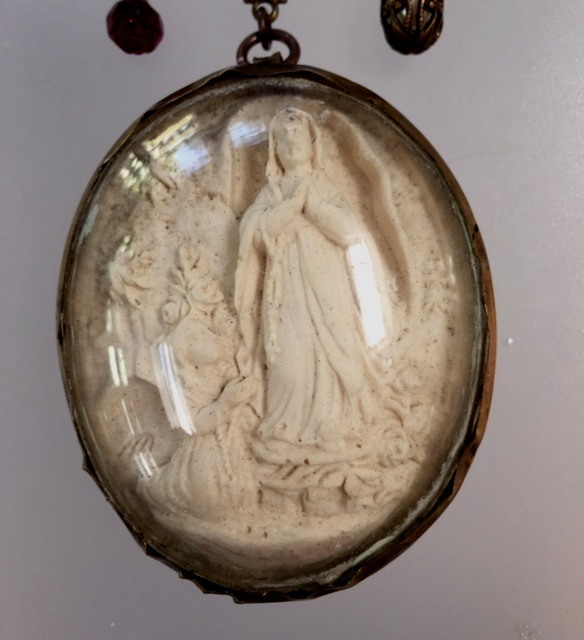 The original 3 Way medal has the Miraculous Mary. It is embellished with a Filigree Pearl Drop and a Rose shaped Red bead representing the Blod of Christ. 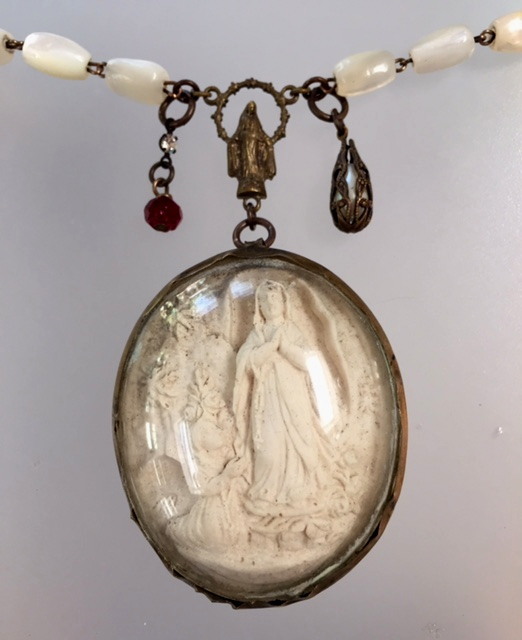 This piece could be worn on your neck or mounted on your wall with other religious artifacts for a remarkable presentation! Rosary/chain is 32" total in length and the Meerschaum carving is approx. 2.25 " by 1.75".